So, who are the innocent students MESA would have us believe were "arbitrarily" arrested, while working diligently toward their degrees? One was twenty-four-year-old Birzeit student Omar Al-Kiswani. His Hamas contacts include Yassin Rabie, who was released from an Israeli prison as part of the 2011 deal in which 1,027 terrorists were traded for kidnapped Israeli soldier Gilad Shalit. Rabie funneled 150,000 euros ($171,000) to Al-Kiswani to "cover Hamas activities at Birzeit University," according toShin Bet. Three other Birzeit-Hamas students were arrested in July and August: Issa Shalalda, Omar Ma'soud, and Hazem Hamayel. MESA doesn't mention them. In 2007, Matthew Levitt of the Washington Institute for Near East Policy, author of a key work on Hamas, participated in a panel discussion at the U.S. Army War College in which he detailed the degree to which terror recruitment dominates Palestinian academe. "Hamas propaganda – pamphlets, posters and myriad other printed collateral – literally litter Palestinian university campuses," he explained. For the 2003 student elections at Birzeit, Levitt noted, "Hamas candidates reenacted suicide bombings by blowing up models of Israeli busses." In a debate for one student office, "a Hamas candidate taunted his Fatah challenger by boasting, 'Hamas activists in this University killed 135 Zionists. How many did Fatah activists from Bir Zeit kill?'" 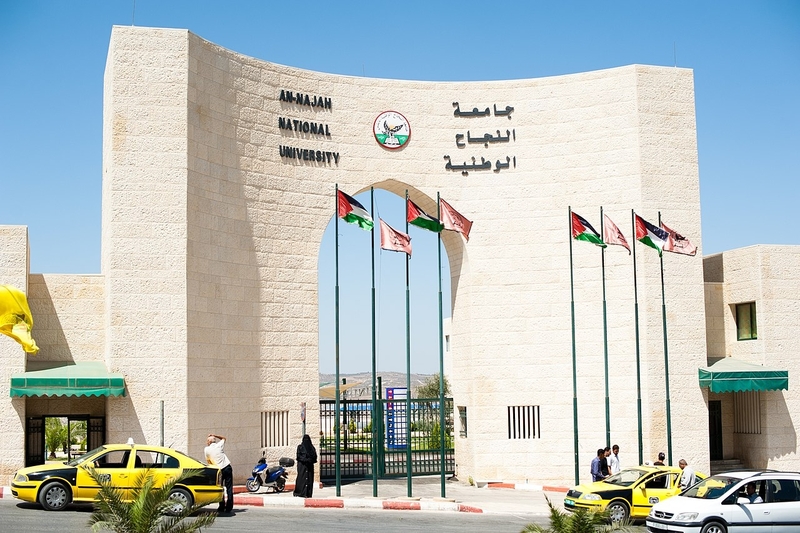 Campus Watch has documented decades of student terrorism and faculty complicity at An-Najah National University in Nablus, dubbed by Hamas a "greenhouse for martyrs." In September 2001, An-Najah art majors constructed a realistic replica of the remains of the Sbarro Pizzeria in Jerusalem, blown up by a suicide bomber a month earlier. The attack, which killed fifteen and wounded 130, was commemorated in the morally repulsive exhibit "Splendors of Terror," curated to extoll the virtues of martyrdom. Not to be outdone, Birzeit art students fashioned an exhibit of mock Qassam rockets in 2012. Displaying willful blindness to the need for Israeli law enforcement operations at Palestinian colleges and universities, MESA's biases lend a veneer of legitimacy to anti-Israel academics. Its letter uses the left's popular terminology for criticizing Israel, including charging it with "excessive force" (as though conflicts are won with "proportionate" force) and deploring the use of "rubber-coated steel bullets," a favoritecomplaint of the anti-Semitic site Electronic Intifada. Israel's critics never acknowledge that "less-than-lethal" bullets — the correct term — are used by law enforcement to avoid killing the hostile actors who are bent on killing them. Also condemned are Israel security force's arrests of individuals and actions against entire institutions if necessary to prevent violence. For example, on January 15, 2003, Israel temporarily closed two universities in Hebron that were little more than terrorist fronts. At Hebron University, a chemistry lab was used to teach "students" how to make bombs, while computers at the Polytechnic Institute were employed to disseminate bomb-making guides. Israel's Ministry of Foreign Affairs (MFA) concluded that the two universities were "fertile ground for terrorism and a hothouse for breeding terrorists and suicide bomber[s]." The dominant student groups on both campuses are controlled by terrorists. Kutla Islamiya,or "Islamic Bloc," (which the MFA refers to by the Hebrew Hakatala Islamiya) focuses on "identifying and recruiting operatives for the military wing of Hamas." Likewise, Jam'a Islamiya is the Palestinian Islamic Jihad's student group and Shabiba is Fatah's. All have successfully transformed undergraduates into killers.